Author’s Notes: Light, airy icons for your desktop. This collection contains 81 individual icons with large resources for Vista & Leopard. 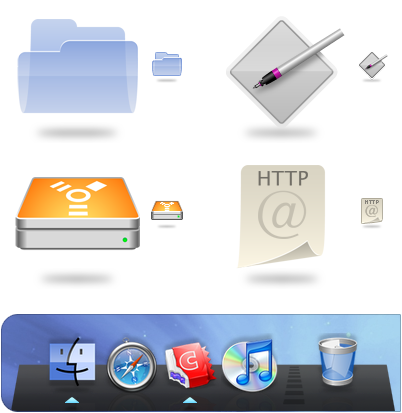 This set’s iContainer includes custom Dock replacement resources for use with CandyBar.